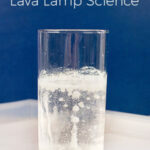 This snow science experiment tests whether snow will melt faster when it is sprinkled with salt. 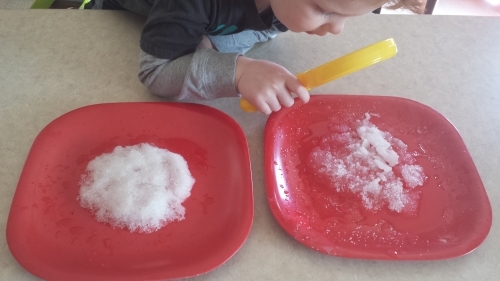 Preschoolers will love making predictions and observing the piles of melting snow. Evan has become very intrigued by science lately. 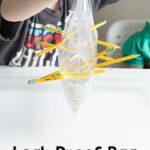 At his age (3.5 years), the experiments we do seem very basic, but they are building critical thinking skills that are so important to learning and retaining information. 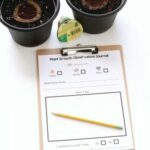 While doing this simple experiment, we worked on making predictions, observation, communication and even patience. 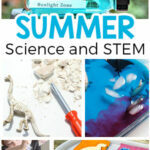 Science experiments also encourage children to be inquisitive about the world around them and find solutions to problems. 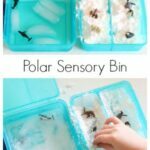 *If you don’t have snow to use for this experiment, you can use ice. 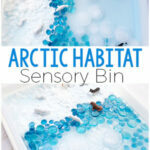 You could also make “snow” by pulsing ice in a blender or food processor. Put a pile of snow on each plate. Make sure the piles are relatively the same size. Leave one pile of snow as-is. Sprinkle salt all over the other pile of snow. We ended up using about a tablespoon of salt, but just make sure it gets all over the top of the snow. Then you must practice patience and wait for the snow to start melting. After a few minutes you will start to see that the snow with salt on it is melting faster. If you look very closely you can actually see the ice crystals melting one by one. We actually took out our magnifying glass and got an even closer look at them melting. 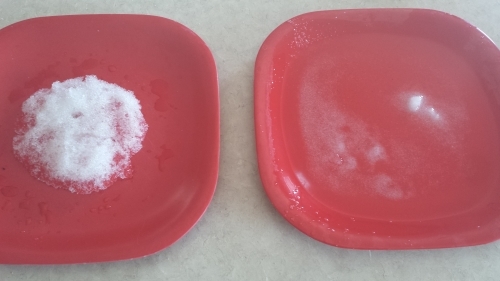 After 20 minutes, the snow with the salt was almost completely melted and the snow without it was only slightly melted. 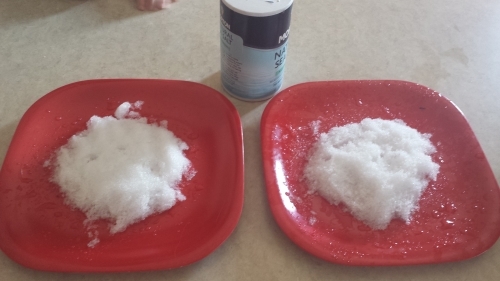 While we watched the snow melt, we talked about why the snow with the salt was melting faster. 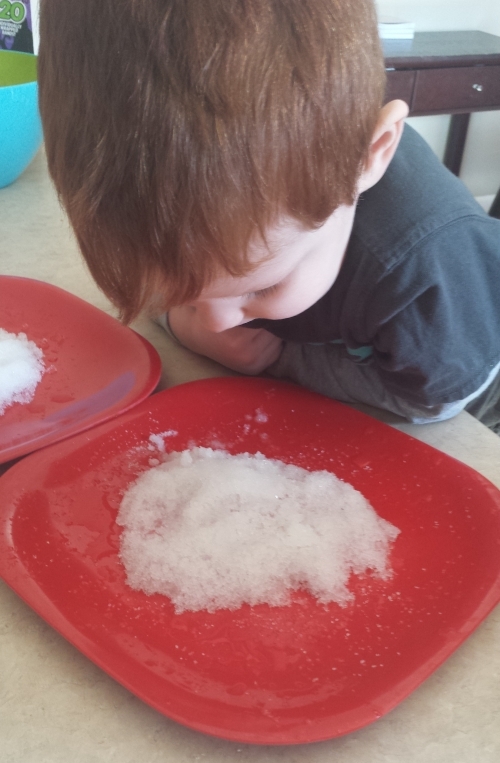 I explained that the salt made the temperature of the snow warmer. As a result, that snow melted faster. I kept it very simple and easy for him to understand. 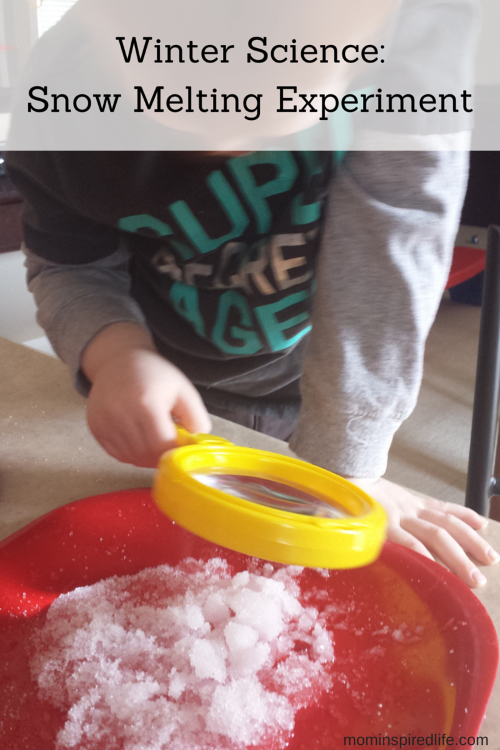 We are hoping to do even more snow and ice experiments this winter! 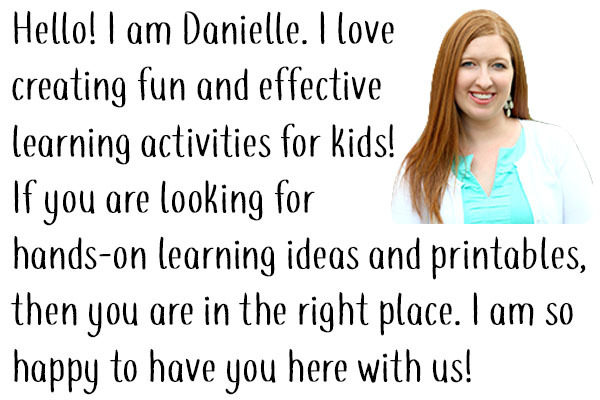 Do you know any you could share with us? Please leave your ideas in the comments.